From February 2016 to November 2017, Monday to Friday, 5 hours a day, I took care of Luca (8). I helped with his homework, drove him to different places, helped him bathe and cooked for him. Between December 2016 and November 2017, I looked after Francisco (2). I prepared his meals we played games and bathed him. Between 2012 and 2019, in the summer, I took care of Federica (10). I drove her to different places, cookds for her, helped with homework and helped bathing. Between August 2013 and January 2019, during the holiday, I looked after Marco (7). I played with him, cooked for him and helped with homework. I am first aid certified. 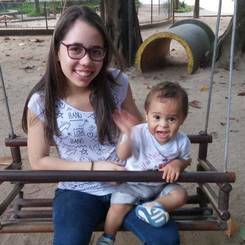 I would love to become an au pair, because I love children and enjoy spending time with them. I am prepared and I am well aware of the fact that being like a big sister for your children comes along with responsibilities for them and it will not always be just play and fun. 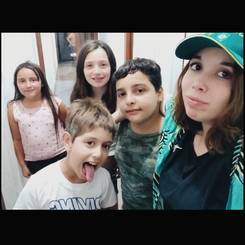 I want to work as an au pair abroad to live new experiences, to know different cultures and places. I also want to grow as a person with international experience which will also allow me to open my horizons and improve my English skills. I always had a good connection with children. I am very good at arts and crafts projects and creating games to keep children busy. I babysat Sofia (6mths) from January 2012 to 2013 for 5 hours a day, 5 days a week. This included playing with her, bathing her, changing her diapers, giving her food, and putting her to bed. From September 2017 to 2018, I watched Enzo (5mths) for 10 hours a week. My responsibilities included bathing him, changing his diapers, playing with him, giving him food, and putting him to sleep. Lastly, I babysat Livia (3) from January 2013 to 2015 for 18 hours a week. I played with her, had her take a shower, gave her food, and put her to sleep. Reading, visiting different places, listening to music, watching comedy movies, and swimming. I want to become a EurAupair au pair in the USA because this program has all that I want. I will take care of children and study and practice my English. Practicing my English is so important because here in Brazil, it is so difficult to train, especially in my daily routine. I want to learn a lot with the family and kids, I want to learn your cultures, traditions, and new friends. I want to be able to help and teach about my culture too. I want to have fun and have new experiences. From June 2018 until January 2019 I took care of Pasha (2) and Roman (6) 35 hours per week, preparing meals, going to the park, and putting them to sleep. In 2017-2018 I took care of Ismail (8mo), 40 hours per week, feeding him, playing with him, bathing him, changing diapers, and putting him to sleep. In addition, I have previously worked in many hotels and "mini" clubs. Iâve always loved to be together with kids. I love to play with them. Iâve always spent a lot of time with kids and I worked in mini clubs at several hotels. Moreover, I want to go to the USA for improving my English and learning American culture. Between 2016-2018 I have been taking care of Aras (3), I prepared meals for him, bathed him and played games with him. Between 2014-2018 I have been taking care of Celebi (4), I prepared meals for her, bathed her and played with her. Since September 2018 I have been caring for Taha (5) and Yusu (5), I helping them with their homework, and taking care of them. I love spending my time around the children and I believe they deserve the best so, I want to do my best for all of them. Iâve always believed I can speak the same language with children. I havenât had difficulty in communicating with them and I can easily share things with them. Spending time with children makes me happy. Between 2017-2019 I took care of Ella (8) I took her from school, gave her meal and proposed her activities. Between 2017-2019 I have been taking care of Diane (4), I ensured her safety, took her from school and gave her meal. Between 2018-2019 I was responsible for Ambre (1) I ensure her safety, took her from nursery, changed her diapers and fed her. Going to the gym, synchronized swimming, dancing, gymnastics. Going to America as an au pair is a project I have been thinking about a number of years. I am passionate about children since I started working in animation (17 years): working with them has become a vocation. In addition, I have always been praised and well regarded by the families and caregivers of the children I kept. I am someone who is sensitive to the respect of the hygiene, the security and the well-being of the child: these points seem to me necessary for the good physical and psychological development of the child. 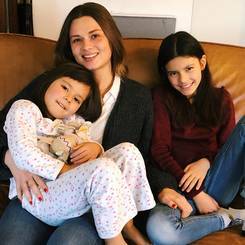 Finally, I am fortunate to have a big sister who has studied in the United States and who has spoken to me a lot about the au pair program, the American culture and their way of life. Going to discover this country in a host family seems to be the best way to gain experience. I worked in a kindergarten with children ages 2 to 3 years old in the afternoons for 4 hours from February to December 2013. This included caring for the children, giving them their food, reading stories to them, singing, playing with them, dancing, doing activities, working on their motor skills, and putting them to sleep. 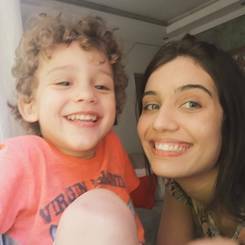 From February to December 2014, I babysat Sebastian (8) for about 25 hours per week. This included giving him tasks, picking him up from school, giving him lunch, taking care of him, and playing with him. On weekends and special occasions, I watched Maria (1) from March to October 2015. 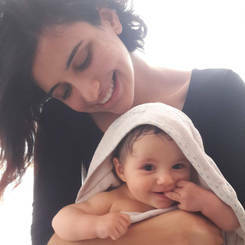 This included caring for her, preparing her bottle, feeding her, changing her diapers, reading stories to her, singing to her, playing with her, and putting her to sleep. From January to November 2016, I babysat Sergio (1) in the evenings and weekends for 3 hours. This included caring for him, preparing his bottle, feeding him, changing his diapers, reading stories for him, singing, playing with him, and putting him to sleep. Finally, I watched Samuel (10) on weekends for 5 hours from May 2017 to June 2018. My responsibilities included caring for him, feeding him, and playing with him. Doing activities with children, traveling, getting to know new cultures, studying, going out with family and friends, walking in nature, going to the park, watching TV shows, watching movies, shopping, cooking, photography, reading books and news, going to the zoo, bowling, playing board games with family, going to the beach, swimming, running, and playing basketball and tennis. 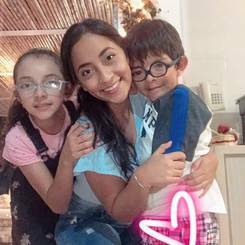 It is my dream to be an au pair in the United States because I would love to know the American culture, improve my English, and learn their habits and lifestyle. I also admire the country a lot and think that I have great experience and the maturity necessary to take care of your children. I am very motherly and loving, so I consider this a great opportunity, especially since I love taking care of children. I am very patient, I love babies, and I enjoy watching them grow and help them with what they need. I looked after Juan (10) from July 2016 to November 2018. I prepared snacks, helped with homework, drove him to activities and played with him. I babysat Isabela (4) from August to December 2017. I prepared meals, cared for her when she was sick, spend time playing with her and drive her to activities. From April 2017 to July 2018 I also looked after Valeria (11). I helped with school work, prepared meals and played. I worked at a daycare taking care of children ages 2 to 6 years old from May to June 2018. I gave them snacks, played with them, and taught them to draw and paint. I also looked after children ages 6 to 13 years old in June 2018. I played with them. 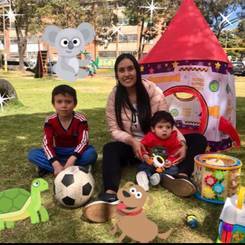 I want to be an Au Pair because I like children, and I'm happy to have the opportunity to improve my English, learn about your lifestyle, your habits and your country, I believe it's a great opportunity to share experiences and to learn about other culture. I love children and I always have a connection with them, I have experience and I think that if you do everything with love it will be fine. 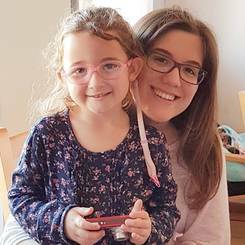 Since 2013 I have been taking care of Ariadna (7) and Marina (4) for couple weeks every summer. From September till October 2016 i have been looking after Pol (9) 2 hours a day and 4 days a week, picking him up from school and helping him with homework. I have been in different schools and in a nursery practicing to become a teacher. I have been working 3-4 days a week for couple of months every year in classrooms with kids 1-2 years old, 2-3 years old, 3-4 years old and 4-5 years old. I have always loved taking care of children and playing with them. I am the big sister so I am used to being after my siblings. My parents are divorced and my dad used to have some au pairs at summer for my little sisters. 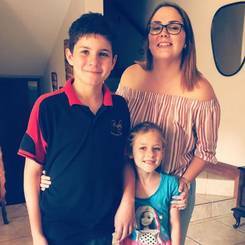 I sometimes helped them and I liked the idea of becoming an au pair. When I started studying the Childhood Education degree I knew I wanted to be an au pair in the USA, but first I had to finish university. I think the USA is an interesting country, I want to learn the culture and practice (and improve) my English. In my opinion, it is an important language to communicate with people around the world. I am an easy going person, I think that itâs easy living with me, and I love to help with everything I can. I try to be open and to fit in with the host family. I also think I am good with children and that they can feel comfortable with me.